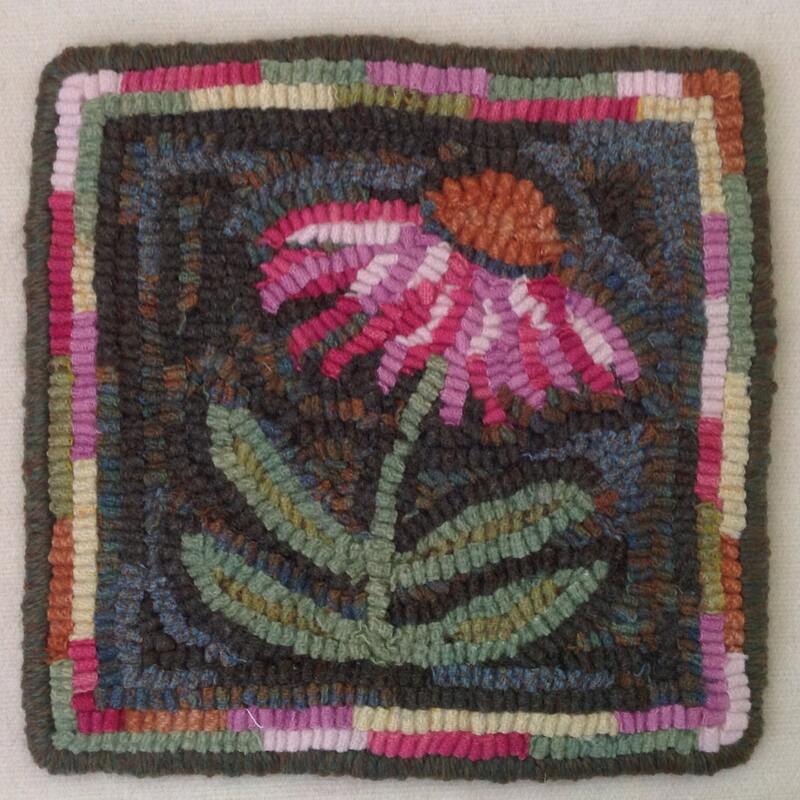 This listing is for the rug hooking PATTERN for "Coneflower Mat", 8" x 8" This is for the pattern ONLY. The finished rug is used as an example only and is not included in the listing. If you have had lessons on how to hook a primitive rug, then this is a perfect beginner project for you. Also great for veteran rug hookers. Hook it up quickly to give to a friend or to use to teach a friend to hook. 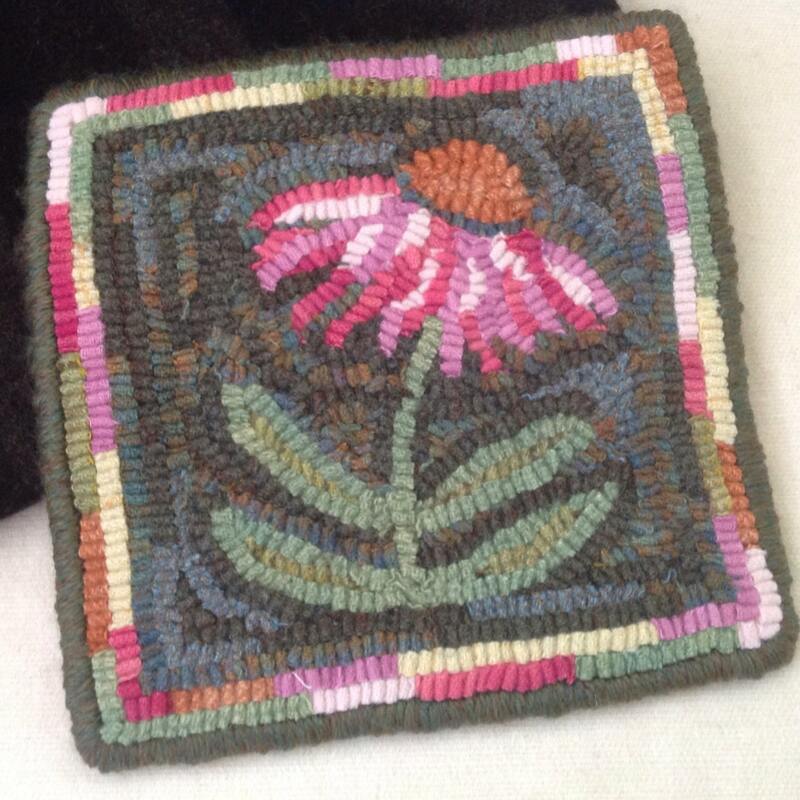 It makes a great trivet for a tea pot, or place it in a basket or use it to top an antique stool. Collect your favorite pinks and purples and oranges for the flower, greens for the leaves and a dark background and you're ready to go...or see below to purchase a kit. 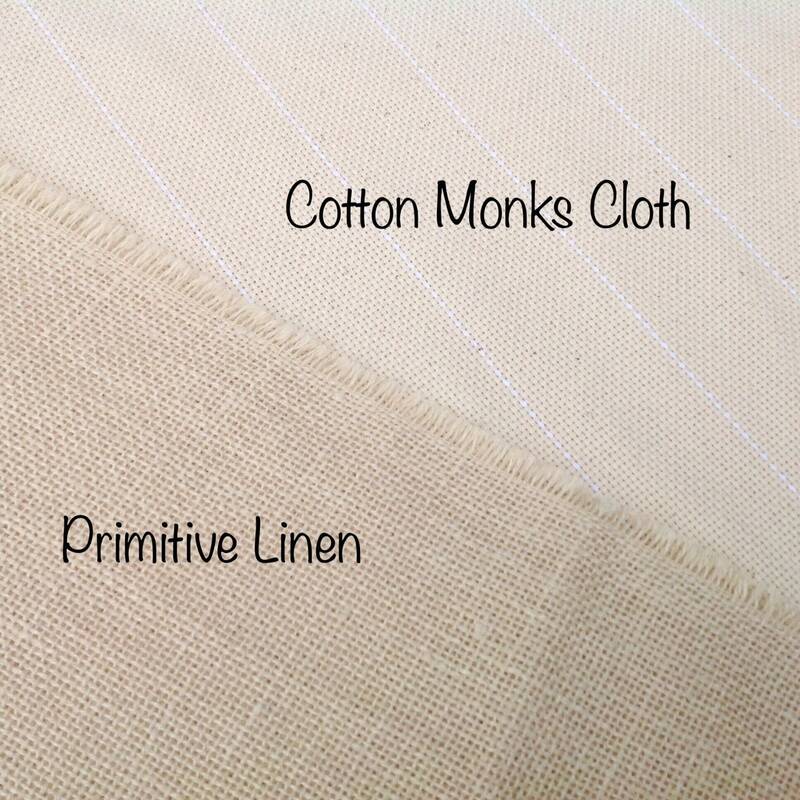 I hand draw the pattern on either monks cloth or primitive linen, choose your preference in the drop down box. 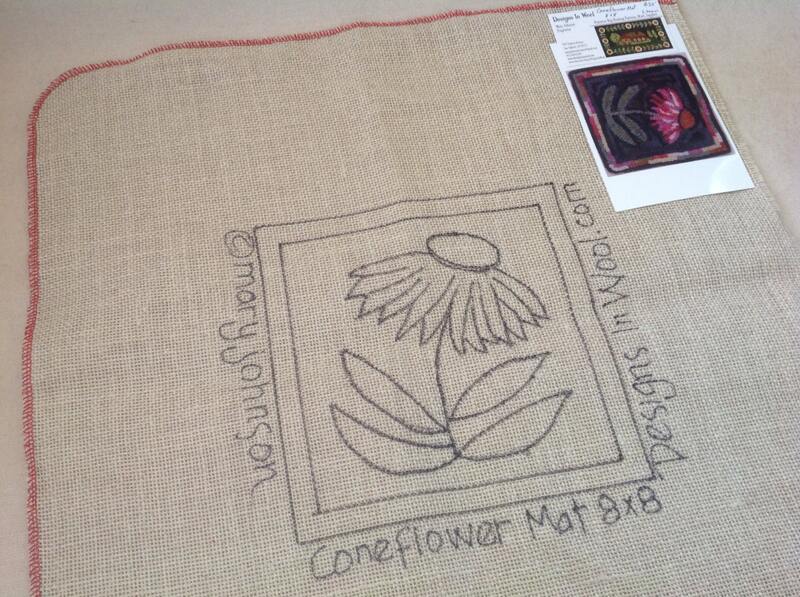 The design is drawn on a 19" x 20" backing fabric to make it fit on most lap top frames or in a 14" hoop. The raw edges of the foundation fabric have been serged to prevent raveling. ©2017 Mary Johnson. All patterns at Designs In Wool are copyrighted by Mary Johnson, the designer. Your purchase of this pattern gives you rights to use this pattern one time. You are not allowed to make new copies, redraw, reproduce in any manner on your own or give this design to others unless you have purchased it as a gift.